There's more data available today than ever before, and with statistical software such as Minitab it only takes a couple of seconds to get some significant insights, whether it concerns how to make your business run better or national politics. For instance, if we look back at the last 9 presidential elections (1980 to 2012), there are some interesting correlations between the percent of state votes for Democrats/Republicans and the percent voting for Democrats/Republicans nationally. 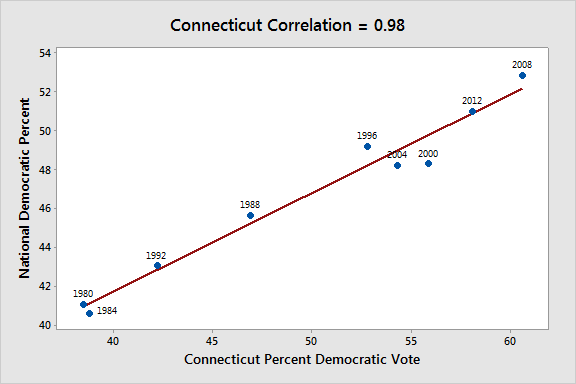 Connecticut had the highest correlation, and the fitted line plot below, which plots Connecticut's percent Democratic voting against the national percentage, shows just how closely correlated the state's percentages have been over the last nine presidential election cycles. 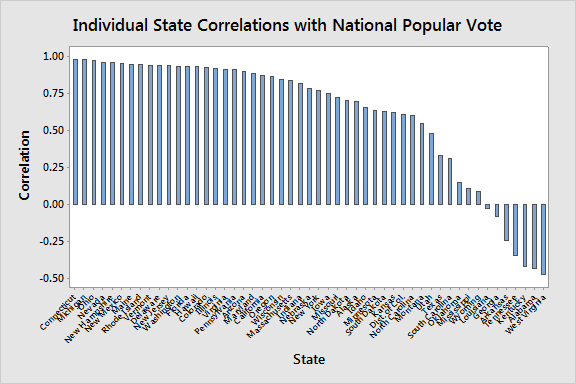 Other states, including Michigan and Ohio, had similarly high correlations. Keep in mind, however, that no matter how high these correlations are, correlation does not imply causation. If a candidate focused on Connecticut thinking their national percent would increase, they would be falling victim to flawed statistical thinking. In fact, that candidate's percent in other states would probably decrease, as opposed to increase, since they would be neglecting the other states. 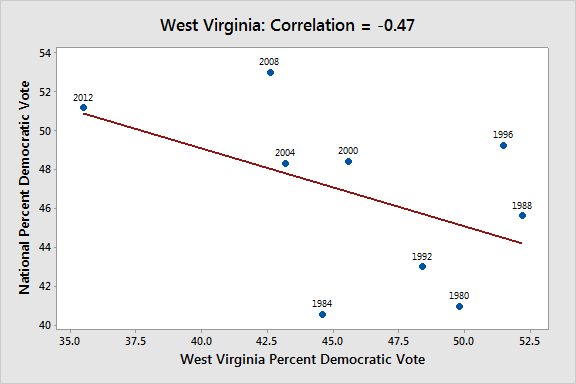 West Virginia had the lowest correlation with the national voting percentages—so low, in fact, that its correlation was negative. In years where West Virginia saw a high percentage of voters go Democratic, the national Democratic vote percent was low, and in years where West Virginia had a low Democratic vote percent, the Democratic vote percent was high at the national level. In general, southern states (South Carolina, Mississippi, Louisiana, Georgia, Arkansas, Tennessee, Kentucky, and Alabama) had low correlations with the national percentages. 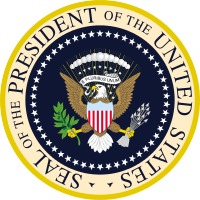 This data came from The University of California Santa Barbara website, http://www.presidency.ucsb.edu/elections.php, which has state-by-state historical voting data. As the 2016 election cycle gathers more steam, it will be very interesting to see what the data from a myriad of sources will be able to tell us.